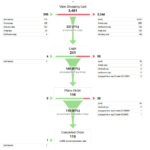 What link building strategies actually work? Forget link exchanges and start with guest blogging. “How can I get more traffic from Google?” This is one of the all-time most common questions in web marketing. People ask this question hoping to hear a short answer with some high-impact advice. And marketers are often happy to oblige. 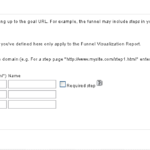 The problem with these link building tricks? They don’t work. It’d be nice if they did, because these are easy things to do. You could do them all in an afternoon, call it a day and wake up the next morning to a flood of new visitors. Google has a small army of math PhDs working hard everyday to make sure that search results are relevant. They’re looking for the signals that indicate the true relevance of every page. And since the tricks listed above are things anyone can do, they are not great indicators of relevance. Think about it. If press releases, directory links and reciprocal links made a difference, Google would be full of spam. Remember Alta Vista in 1999? It was easy to trick, and therefore, it was terrible search engine to use. Ok, So How Do You Build Links? Popular blogs need content. Most of them are actively looking for submissions from guest bloggers. They’re more than happy to include a link to your site in your author bio if you can give them an article that makes their audience happy. Write something worthy of being published on a great blog. Make sure the topic, tone, length and formatting are a fit for the blog you’re targeting. Network with the blog editor. Connect with the editors of blogs in your industry, especially blogs that your audience is likely to read. Social media is a great way to make with these valuable connections. Submit it to the editor, complying with the submission guidelines if available. Be open to changes. Remember, you’re a guest. Be considerate. If the process of writing and pitching sound familiar, it may be because it’s almost identical to the approach PR people have used for decades. When done properly, guest blogging is indistinguishable from public relations. Create a truly great piece of content. Original research, detailed how-to content and useful tools are especially effective for this approach. Align the post or page with a keyphrase. Find a phrase that people are searching for and a phrase that isn’t too competitive. Use basic on-page SEO when writing the page to make sure it’s indicating its relevance for the phrase. Post and share it with a few bloggers who are interested in the topic. Again, social media is useful for this. Personal emails can also be effective. Bring the content to their attention and politely suggest they cover the topic on their blogs, if it isn’t too awkward. If the post was truly high-quality, some of these bloggers may link to it. If not, no worries. If it ranks for the target phrase, it will be visible in search engines. People will find it and some may link to it. This is the secret to SEO: create high-quality, highly-visible content. People spontaneously link to web pages all the time. They do it because the page is interesting, useful and important. So it helps if your business is doing something interesting, useful and important. Mightybytes’ Ecograder is a great example. This tool shows website owners how sustainable and energy efficient their websites are. It’s useful, important and a natural link magnet. Can you make the best page on the web for that topic? Pick a phrase you’d like to rank for and search for it in Google. Click on those high ranking pages. Can you write something that useful? That detailed? Can you add something to that conversation? Can you provide better evidence and research? A stronger opinion? Are you able to create a more relevant page than the top ranking pages? If not, you’re stuck with link building tactics that are devalued, unethical or even risky. Every link to your site makes your site more credible in the eyes of Google. This makes it more likely that your next great blog post will rank and attract more links. It also makes it more likely that your home page will rank for that all-important main keyphrase. It may take years, but it gradually becomes easier. The good news is that if you stick with these approaches, you’ll never worry about changes in Google. You’ll always stay on their good side. So write something great. Then submit it as a guest post or align it with a keyphrase. Google will take care of the rest. 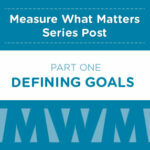 Measure What Matters: Goals and Funnels Together At Last!